Brendon Sanger is charged with continuing to improve the strength and depth of ELM partnerships throughout the industry. 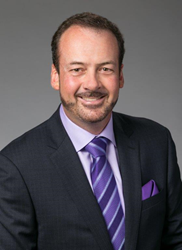 “We are thrilled to add Brendon to our executive team, the first such expansion of our leadership group in several years,” says Jon Veenis, President and CEO of ELM Resources. ELM Resources, the leading provider of private student loan management and services for College and University campuses, today announced that Brendon Sanger has joined the company as Vice President, Growth & Development, and is charged with continuing to improve the strength and depth of ELM partnerships throughout the industry. Brendon is a seasoned executive, and brings extensive sales experience both in and out of the student lending industry. Prior to joining ELM, Brendon held sales, strategy and leadership roles with TERI, Key Education Resources and Nelnet as well as consulting and sales positions with Partnerwise Group, Volpini Consulting and Aramark. ELM Resources was founded in 1994 and is the only not-for-profit mutual benefit corporation serving the student loan industry today, including universities, colleges and lenders. ELM provides a common, non-proprietary and open data exchange and disbursement system that seamlessly links the diverse computing platforms of schools and lenders through its industry leading product, ELMOne. Within the ELMOne suite, ELMSelect®, ELMNet® and ELM NDN® each provide unparalleled efficiency in handling different phases of the private student loan process, such as financial fundamentals, lender comparison, loan application, school certification and loan disbursement processes. Over 1,800 campuses use ELM Resources to send and receive loan data for alternative loans with the lender of their choice. ELM Resources has been certified as a “Great Place to Work®” in 2016 and 2017 by the independent analysts at Great Place to Work® and ranked #19 on Fortune’s “Best Small Workplace” list in 2017.